Two gang members were both sentenced last week to serve life in prison for their involvement in a series of area shootings, including a 2013 shooting on Birdcage Street that left two dead. Sacramento County Superior Court Judge Maryanne Gilliard sentenced David Javier Jaimes and Alex Martinez Camacho each to “two terms of life in prison without the possibility of parole, plus 111 years and 4 months to life consecutive,” the Sacramento County District Attorney’s Office said in a news release on Monday. In a statement to The Sentinel on Wednesday, Citrus Heights Police Chief Ron Lawrence said he was “grateful the criminal justice system works” and said he is hopeful the sentencing of the gang members gives some solace to the families of the victims. 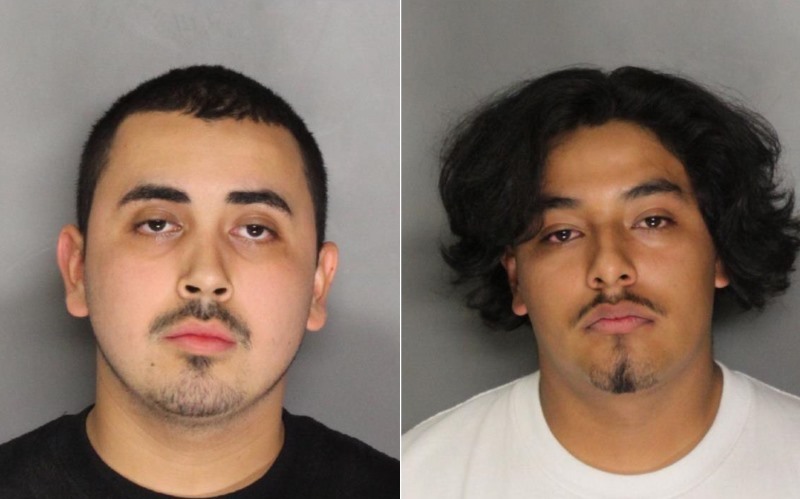 The deadly shooting in Citrus Heights occurred on May 21, 2013, when Jaimes, then age 20, and Camacho, then 18, were driving on Birdcage Street in a car with other North Sacra Norteño gang members and saw “who they believed was a rival Sureño gang member talking with another man and woman,” the DA’s office previously said. The pair got out of the car, shot the victims multiple times, and fled, leaving a 29-year-old and a 41-year-old dead at the scene. Although the case initially went unsolved, investigators received a major breakthrough after Jaimes and Camacho were involved in another shooting a month later. In that shooting, the pair again mistakenly believed they saw Sureño gang members in a truck and followed after it, accompanied by other gang members in their vehicle. While stopped at the intersection of Arden Way and Morse Avenue in Sacramento, one of the gang members opened fire on the truck — leaving the passenger critically wounded. The shots were heard by a nearby sheriff’s deputy who pursued the gang members’ vehicle in a high-speed chase. During the pursuit, authorities said a handgun was thrown from the vehicle and was later recovered. An examination of the weapon revealed a connection to the murders on Birdcage Street, and was also linked to a series of shootings in Sacramento and Citrus Heights. Investigators later determined Jaimes and Camacho were responsible “for the vast number of those shootings,” according to the DA’s office. Last July, the pair were both convicted of murdering Gladis Quinteros and Enrique De La Cruz in the Birdcage shooting, as well as attempted murder. Jurors also found the pair committed the crimes for the benefit of a criminal street gang, an enhanced charge. A third individual, Hayley Rogers, was also arrested in 2014 in connection with the Birdcage shooting. As previously reported on The Sentinel, Rogers pled to two counts of assault with a semi-automatic firearm and admitted a gang allegation for each count, earning her a 10 year sentence in prison.